For a man accused of just about every sin possible within the parameters of boxing and capable of bamboozling writers with quotes and sentiments drawn from Twain to Churchill it says a lot about the sport he inhabits, that veteran promoter Don King is the sole voice of reason in the aftermath of the Khan v Barrera contest. 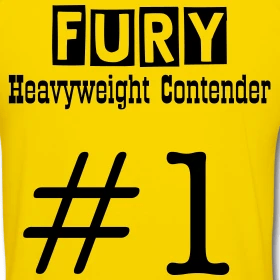 Well, alongside Terry Dooley at BritishBoxing.net at least. Dooley is a fearless, if slightly dishevelled, writer who can always see through the mist, and is unafraid of running against the grain. 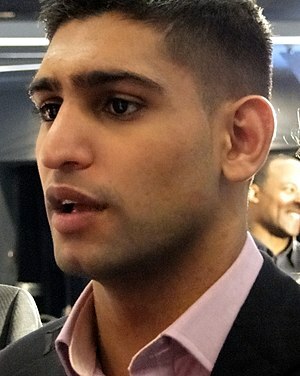 Dooley titled his review of the fight; “Say what you like but Khan should never have won”. Khan was the beneficiary of the unsatisfactory decision to stop Barrera in the 5th - with the cut no worse than it was in the opener in which it was sustained. Several sites carry the story, Setanta.com among them, but the thrust of the discontent surrounding the outcome of the fight is the willingness of the officials in charge of protecting Barrera’s health and well being to allow the ring legend to continue from round 1, where a stoppage for the cut would have resulted in a no contest verdict, until round 5 when the verdict becomes a point decision. The final TD5 is unsatisfactory in it offers no verification of Khan’s improvement or progress under the tutelage of Freddie Roach – nor does it provide much insight into how much the 35 year old Barrera has left at the 135 pound limit. Would Khan have prevailed anyway? Quite possibly, such were his advantages of youth, speed and size but it is entirely fair to assume the later rounds would have suited the dogged, more experienced fighter more when the speed and movement of Khan could have slowed due to fatigue and nerves. The cut was entirely accidental, and while it is impossible to construct any sort of conspiracy theory – the favoured past-time of most Khan, Warren detractors the outcome is entirely too convenient and neat. It wouldn’t be fair to cast aspersions on the intent and integrity of either the ringside doctor or referee, Dave Parris, a man of vast experience and irrefutable principle who more than likely wanted to permit Barrera every opportunity to salvage the fight before stopping it. As well as the sub-conscious obligation to the prizefight itself, the event and the paying punters at ringside at sat at home with a 4-pack. No matter how people protest, these peripheral factors must affect the decision making process in these instances. Officials are not robots after all, they’re all referees in the Premier League.However the result was arrived at, to permit Khan or his supporters to gloss over the impediment Barrera suffered or to swiftly dismiss Barrera’s disquiet at the decision to allow him to continue when the cut didn’t, seemingly, worsen during the intervening four rounds would be to betray the honour and respect Barrera has earned, through blood, sweat and tears over the past 20 years. Sadly, a rematch is very, very unlikely but given the obstacles Khan could encounter should he actively pursue the top honours in the lightweight class; Marquez, Valero, Guzman, Diaz, Katsidis et al the prospect of a rematch with a further jaded Barrera could yet prove a viable and attractive avenue. And the more noise King makes, the more fans will want to see it.